Solar energy has emerged as a viable and affordable option for utility companies looking to expand their renewable portfolio, and also as a new opportunity for investor-owned power providers. The integration of solar offers a multitude of benefits but it also brings a variety of complex challenges. Meeting the demands of regulators, managing costs and ensuring a safe and reliable power supply are among a long list of considerations and questions that must be addressed. Radiance Solar provides expertise in navigating the financial, technical and compliance issues that are unique to the development and construction of solar power operations. Radiance delivers end-to-end solutions for utility-scale projects, including all phases of development, engineering, construction, integration and maintenance. 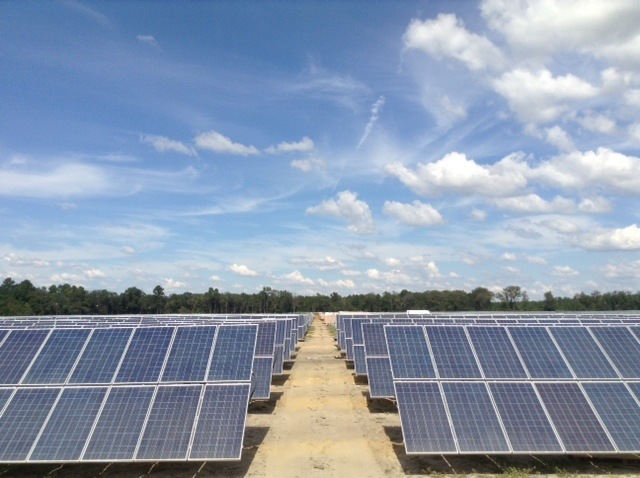 We provide flexible, customized solutions for a range of clients, partners and stakeholders in the utility solar development process, including, power companies, municipalities, investors and land owners. With our on-going commitment to innovation and reducing costs, we promise our clients leading-edge systems designed to maximize a return on investment over the long term. Identifying viable land; negotiating land purchase or lease. Site surveys and zoning considerations. Utility service requirements and access; capacity analysis. Soil, geophysical and environmental analysis. RFP development and vendor considerations.